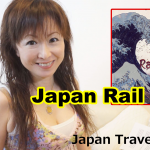 This is the last video of accommodation in Japan! In this video, I talk about 5 different type of accommodation you might be interested in. You might know better than me about a couple of them, though. Hope you’ll get extra idea about accommodations in Japan!